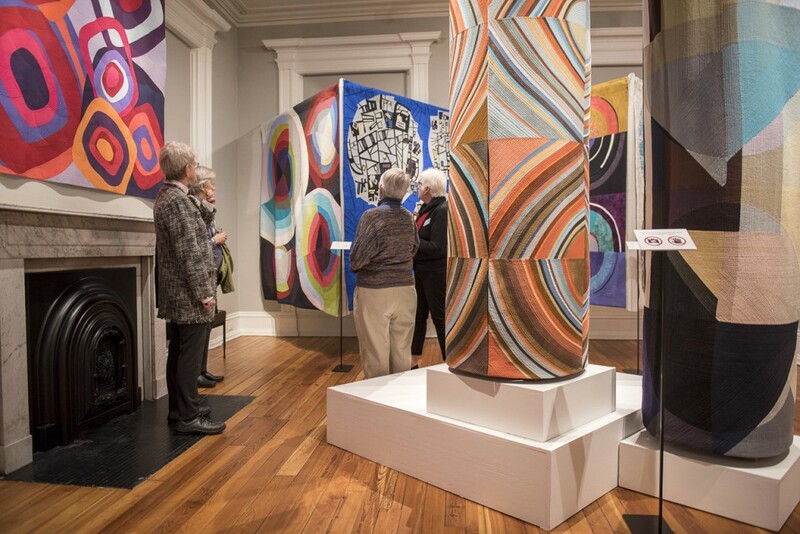 Throughout the spring, there will be an abundance of world class quilts on display throughout Ohio. 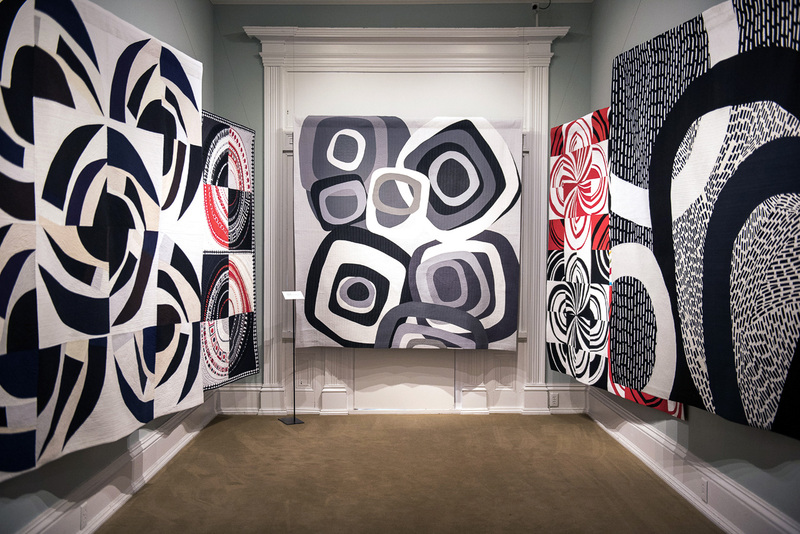 Kicking off earlier this month, the Decorative Arts Center of Ohio in Lancaster is showcasing “Circular Abstractions: Bull’s Eye Quilts,” an extensive display of 51 large quilts curated by world-renowned fabric artist Nancy Crow. 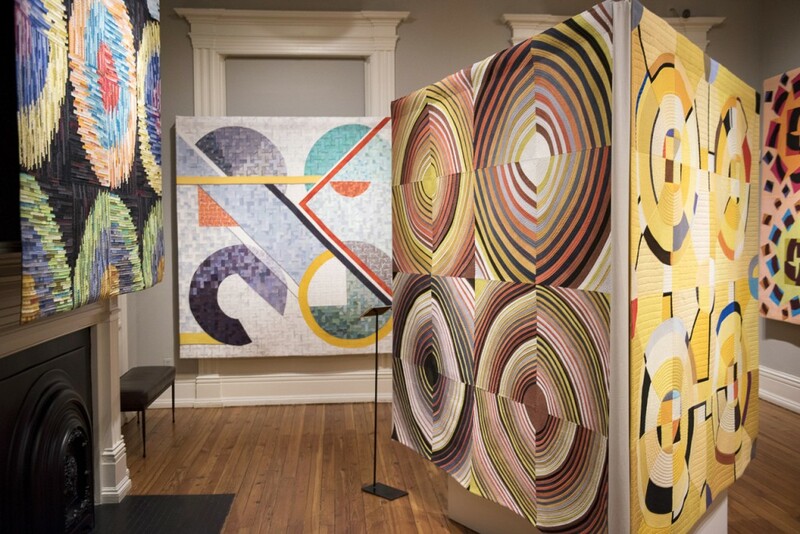 In May, the Dairy Barn Arts Center in Athens, OH, will play host to the 20th biannual Quilt National, which will showcase some of the most impressive quilts from around the globe. 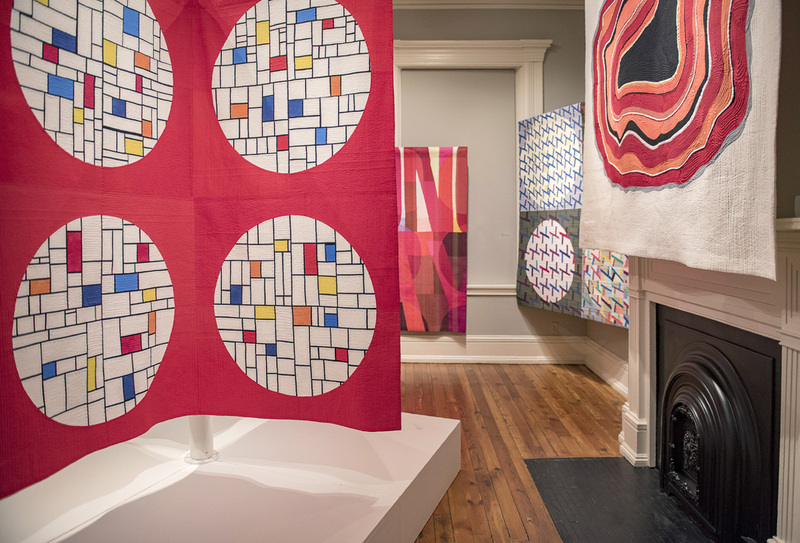 On this installment of Conversations From Studio B, WOUB’s Emily Votaw spoke with artist Nancy Crow and the Dairy Barn’s executive director, Jane Forrest Redfern, about the upcoming quilt festivities. Take a look at these photos of the exhibition taken by WOUB’s Margo Sabec.